Oprah *just* released her *~Favorite Things~* list for 2018, and it's alllllll on Amazon! So we've rounded up some of the coolest things on it under $50. Now you can live your best Oprah life, but not on an Oprah budget. 1. A pair of Pudus thermal boot socks to keep your tootsies toasty when out and about in the chilly air, snow, sleet, or rain. Price: $19.99 (fits women's sizes 6–10 and available in seven patterns). 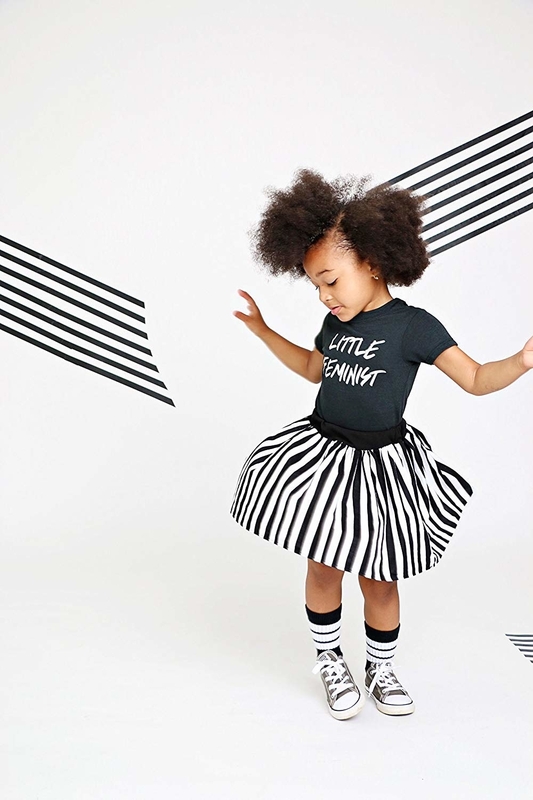 Also available in men's sizes, kid's sizes, and a tall version for knee-high boots in women's sizes. Looking for an at-home version? Last year, one of Oprah's favorite things were the Pudus sherpa-lined slipper socks (with silicone on the bottom to prevent slipping!). Get then from Amazon for $24.99. 2. A rapid car charger with a whopping FIVE USB ports and a FIVE-FOOT cable to power up the whole family's devices on the go. No more fighting, kids! The USB ports are ~intelligent~, meaning they can detect which device you're plugging in, and charging it as fast as the device will allow. 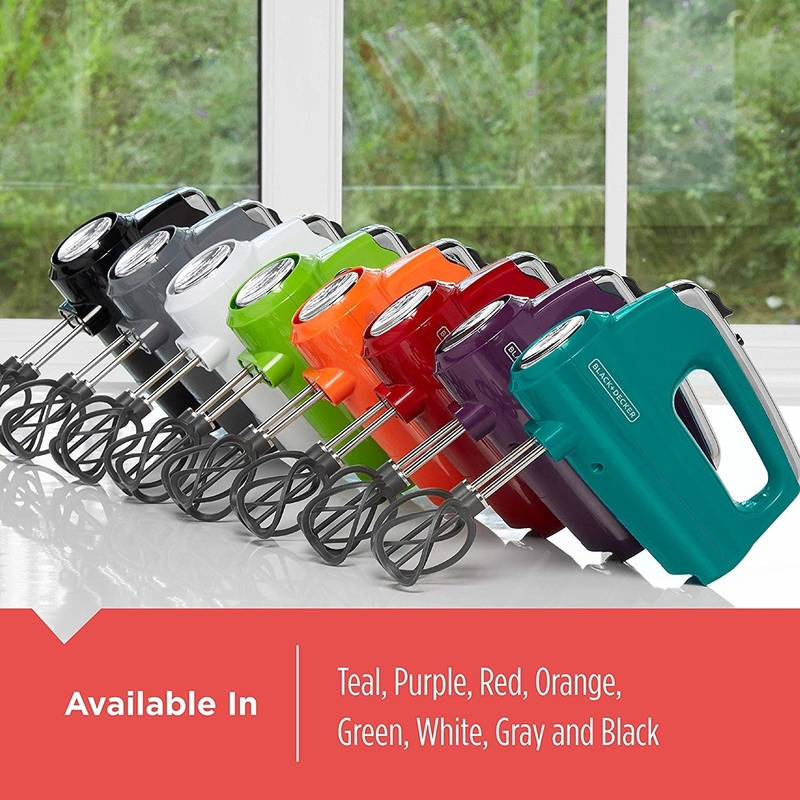 Promising review: "This is one of the best things I think I have ever bought. I got this for a family vacation where there is always a fight over who gets to charge their phone. This gave everyone the chance to use it and having the part that reaches to the backseat was PRICELESS!!! My son could charge and play at the same time, which was lovely. I highly recommend this to parents with more than one child!!" —Leigh-Anne L.
3. A three-row lasagna pan so you can prep different recipes at the same time. Families with a mix of vegetarian eaters, carnivores, and tomato-haters? This is for you. It's also great for meal prep so you can eat one row and easily freeze the other two. And of course, you can use it for other foods too, like brownies (some rows with walnuts, some without! ), bread loaves (banana! zucchini! ), and more. 4. 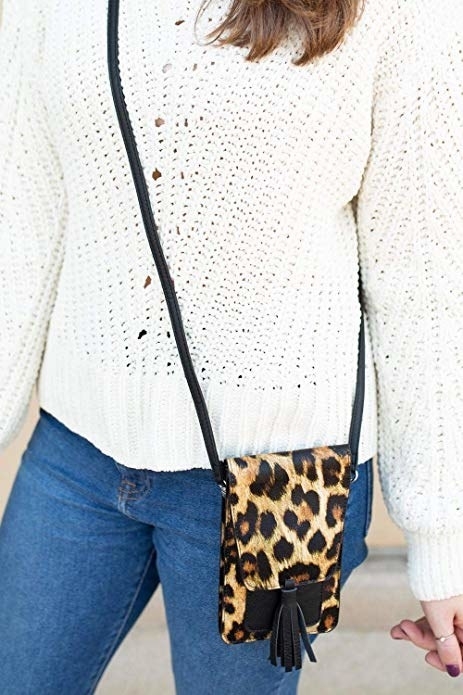 A stylish and compact crossbody bag with built-in credit card slots (that are also RFID-protected) and a main compartment for your phone, glasses, and lipstick so you can find everything you need at a glance. 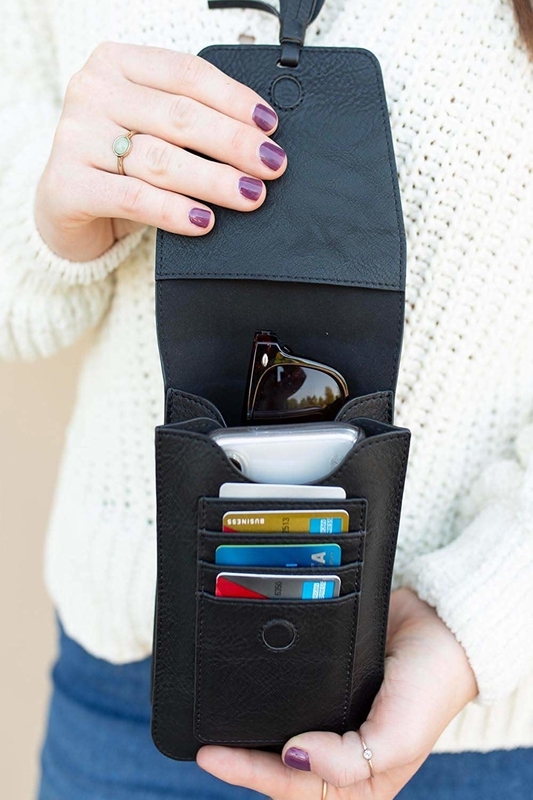 Plus, the lightweight design won't dig into your shoulder, making it the perfect travel purse. Or if you can’t give up that ~large purse life~, an LED-lit organizer you can move between handbags and never leave anything behind. YES, it really does light up inside so you can find what you’re looking for in no time flat. Press the button inside to turn it on, and it’ll shut off automatically in 60 seconds. 5. A pair of Peepers blue light–filtering reading glasses so you can read from your Kindle, tablet, or computer screen without squinting *and* prevent digital eye strain. 6. A letter-writing kit with everything you need to write letters of appreciation to all the most important people in your life. Each letter has a prompt (think "It was incredibly generous of you to..." or "From you, I learned the importance of") — just write your letter for the one of your choice, tear out, seal in the included envelope, decorate with the included stickers, and give or send in the mail! If you're looking for similar ideas, they also make versions tailored to a specific person — books of letters to your parent, child, grandchild, significant other, and even your future self. Check out the full selection on Amazon! It's made with ripe red chili peppers (to reach a Scovillle heat index of 2,500-3,00) and infused with black truffle oil from Northern Italy and organic agave nectar from Jalisco, Mexico — plus a hint of cumin. Tbh, if you don't like truffles, this is not the hot sauce for you — then you can opt for the kit of *seven* hot sauces that Oprah chose for her favorite things list *last year*! 8. 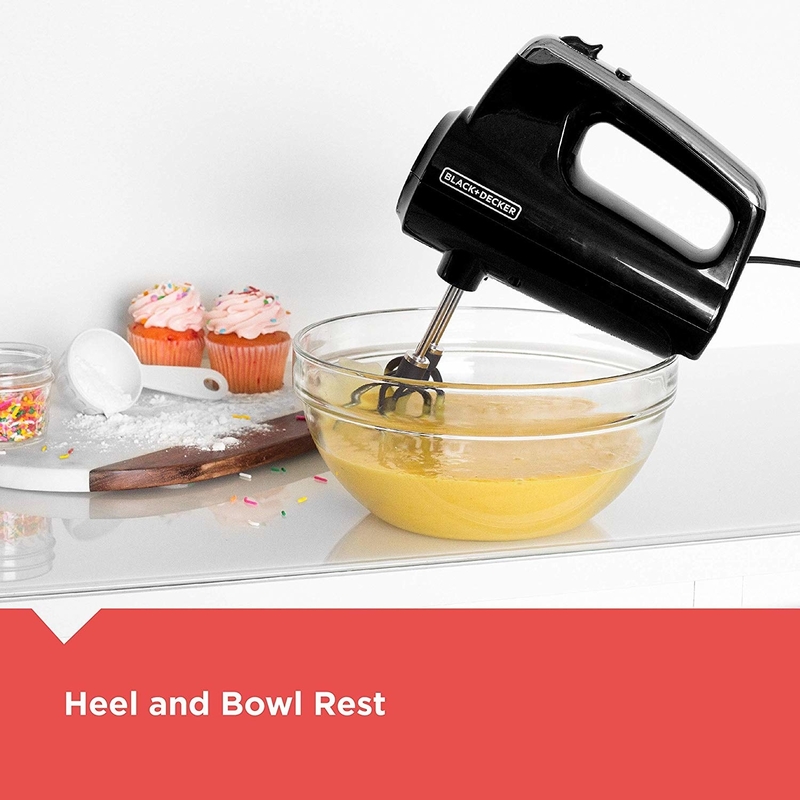 A Black + Decker hand mixer so you can get that brownie batter made (and ready to eat) in no time flat. It comes with uniquely designed helix-shaped beaters, with a higher surface area and increased ~overlap~ for faster mixing. Plus you'll get two dough hooks, a wire whisk, and a snap-on case to make storage a breeze (and keep everything dust-free between bakings). 9. Adorable cable-knit beanies any kids you know would surely go ~wild~ for. Price: $23 (available in nine animals). 10. A P.F. Candle Co. scented candle housed in a terracotta container to add a piece of decor *and* an amazing scent to your space. Each candle has a burn time of around 75-85 hours. 11. A dog spa day gift set so you can pamper your pupper, since they spoil you with unconditional love every day. It comes with a double-sided bamboo brush with boar bristles, shea butter shampoo/conditioner, and a luxe terrycloth robe. Time for a bubbly photo op! 12. A set of six jumbo coffee mugs perfectly sized for your morning caffeine fix... and perfectly pretty for a flat lay Instagram with your current read and a snack. 13. An arts & crafts library chock-full of over *1,250* supplies for endless entertainment, creating anything you can imagine from jewelry to lil' animal friends to abstract sculptures. We're talking beads and sequins, fuzzy sticks, pom poms, felt pieces, wooden dowels, floss, google-y eyes, sticker-back jewels, craft sticks, scissors, needles, aaaaaand a tube of glue. And it comes in this cute little suitcase-style box for portability! 14. Classically delicious Hillards peppermint bark, because that combo of dark and white chocolate, peppermint oil, and peppermint candy is almost too good. 15. A mini travel pillow with a washable cover, plush hypoallergenic fulling, and fun embroidery (like "bon voyage!" or "live your best life!") so you can arrive at your destination refreshed and rested... without wasting precious suitcase space. 16. An Empowered by Maya J bracelet plated in yellow or white gold and available in six inspirational words designed to celebrate and (of course) empower women. You can choose from the following: empowered, strong, fearless, grateful, inspired, and brave. 17. 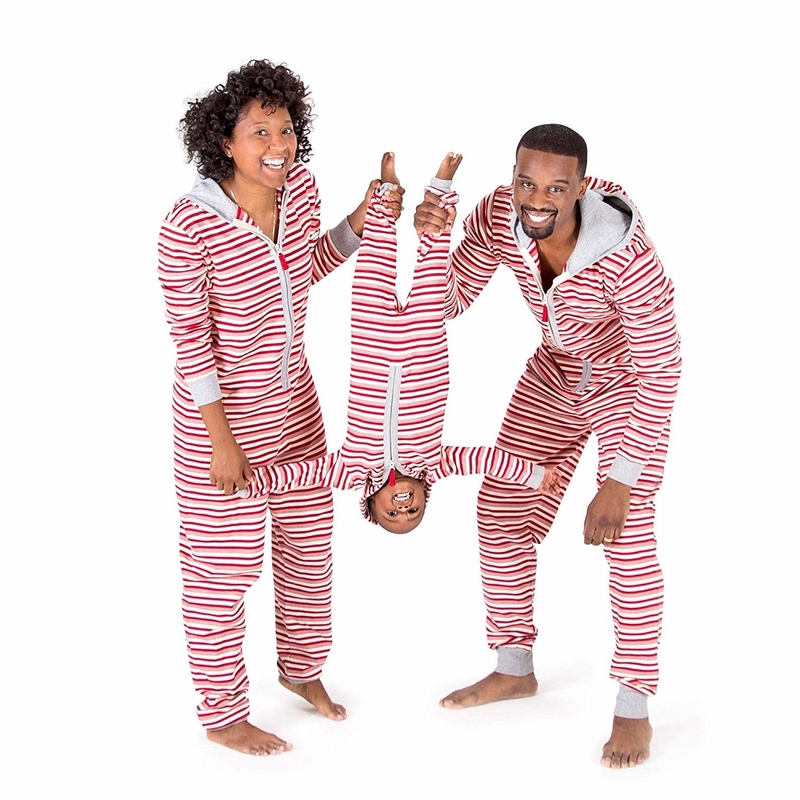 Burt's Bees pajamas and onesies made of 100% organic cotton in sizes for the whole dang family — including a bandana for your four-legged family (I'm not crying, YOU'RE CRYING!). 18. A from-scratch bundt cake that'll have all your guests drooling.. and also quoting the best part of My Big Fat Greek Wedding. "BUND-T" "Bont? Bonk?..... There's a hole in this cake." Let's talk flavors: it's available in nine, including cream cheese–frosted ginger spice (pictured), sour cream coffee cake with caramel, triple chocolate fudge (with either ganache or PEPPERMINT BUTTERCREAM), red velvet, key lime, and more. I'm suddenly starving. 19. Organic coffee-infused maple syrup, because those two flavors are lit'rally the best part of breakfast and wow, how has no one ever thought of this before?! SOMEONE MAKE ME A WAFFLE, STAT! It's made with pure Vermont maple syrup and free trade coffee beans, and it arrives in a wooden crate, making it a great no-wrap gift. 20. 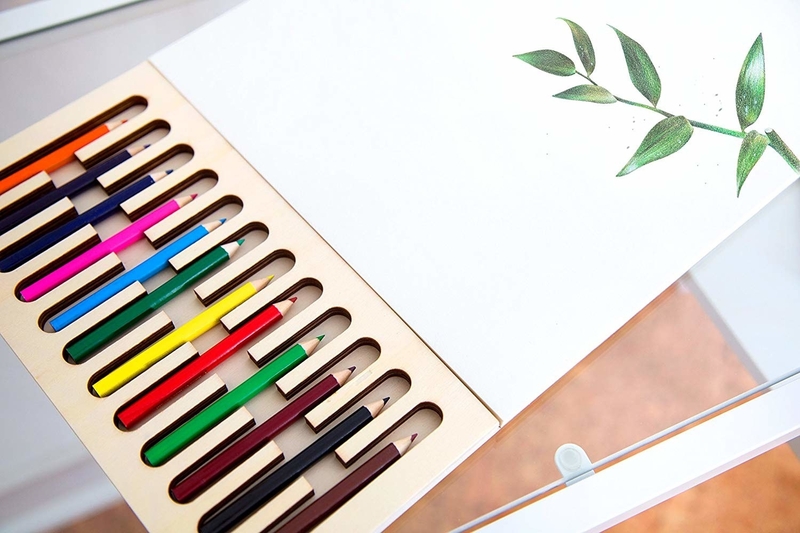 A colored pencil set to let out your inner artist, no matter how old you are. 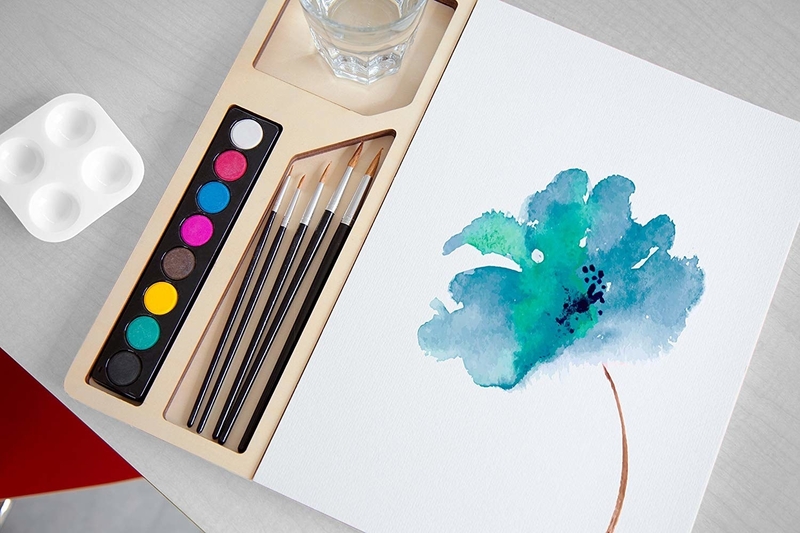 It comes with a wooden tray table (so you can paint or draw in bed), paper, and a set of colored pencils. 21. A pretty notebook with a sturdy faux-leather cover that'll make it easy to travel — and fill with your brightest ideas and most interesting stories. 22. A set of scented goat milk soaps to really class up your guest bathroom (or you know, the one bathroom in your apartment). 23. A set of three flavors of chai (it comes with Maharaja Oolong, Ginger, and Sweet Cinnamon) in gorgeous gold tins to add a bit of luxury to your afternoon tea. 24. 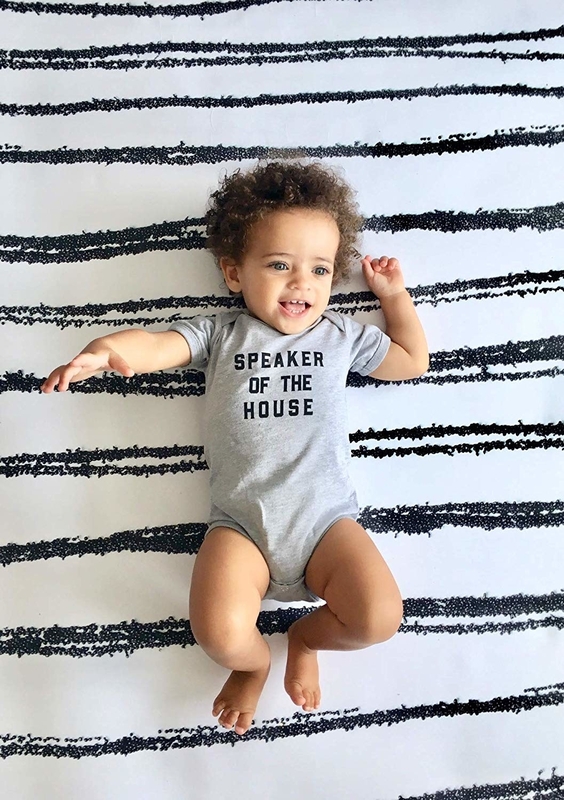 Kids' tees or onesies by Love Bubby for any kid with a bright future. Check out the full assortment of sizes and sayings here. 25. A box of Lee Lee's rugelach, because the best say to say "I love you" is with the gift of food. Check out the full list of Oprah's Favorite Things 2018 for even more gifting ideas! Say it with me, "You get a favorite thing, you get a favorite thing, you get a favorite thing!" * And be sure to check out Gift Guide 2018 page for ideas throughout November and December!